Some Extraction Methods Cause an Over-Representation of Easy-To-Lyse Cells. Outdated microbial extraction methods under-represent hard-to-lyse microbes due to insufficient lysis methodology. 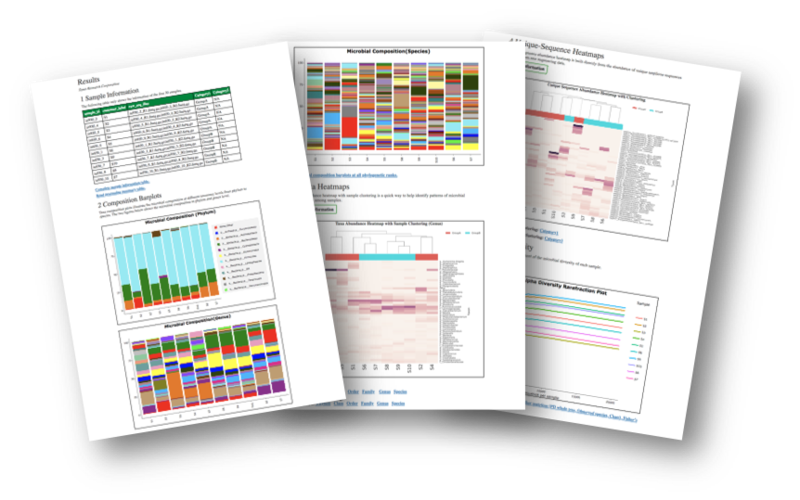 Receive free samples of the ZymoBIOMICS DNA Miniprep kit and Microbial Community Standard, as well as free targeted 16S sequencing. DNA extraction can have a major impact on the perceived microbial profile of a sample, potentially misleading interpretation. 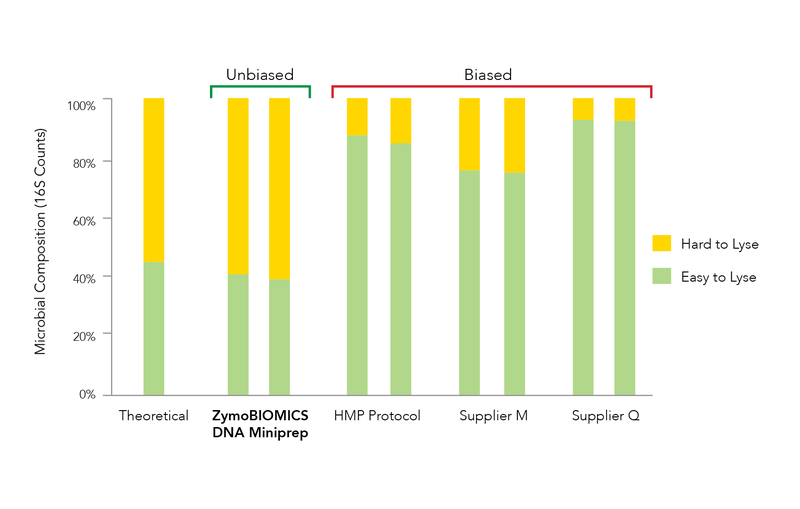 Test out the only microbial DNA extraction kit validated to be non-biased. 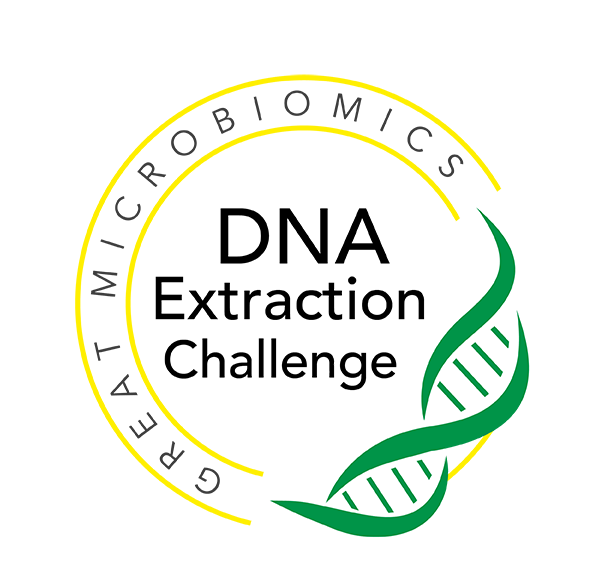 These terms and conditions apply to participation in The Great Microbiomics-Grade DNA Extraction Challenge (referred to as "Extraction Challenge"). The parties subject to these terms are participants ("Participant") and Zymo Research Corp. ("Zymo"). Zymo warrants to the Participant that their standard and Kit provided for this Extraction Challenge meet its standard product performance warranty for use up to 6 months from the date of receipt of such standard and Kit. THIS WARRANTY IS EXCLUSIVE, AND ZYMO MAKES NO OTHER WARRANTY, EXPRESS OR IMPLIED, INCLUDING ANY IMPLIED WARRANTY OF MERCHANTABILITY OR FITNESS FOR ANY PARTICULAR PURPOSE. Zymo’s warranty shall not be effective if it is determined by Zymo that Participant has altered or misused the goods or has failed to use or store them in accordance with instructions furnished by Zymo. Zymo’s determination is final. IN NO EVENT SHALL ZYMO RESEARCH BE LIABLE UNDER ANY LEGAL THEORY (INCLUDING BUT NOT LIMITED TO CONTRACT, NEGLIGENCE, STRICT LIABILITY IN TORT OR WARRANTY OF ANY KIND) FOR ANY INDIRECT, SPECIAL, INCIDENTAL, CONSEQUENTIAL OR EXEMPLARY DAMAGES (INCLUDING BUT NOT LIMITED TO LOST PROFITS), EVEN IF ZYMO HAD NOTICE OF THE POSSIBILITY OF SUCH DAMAGES. Zymo shall not be liable for any loss, damage or penalty as a result of Participant’s participation in the Extraction Challenge. Zymo is not any delay in or failure to manufacture, deliver or otherwise perform under the Extraction Challenge due to any cause beyond its reasonable control. Participant’s sole remedy under the Extraction Challenge is to receive a replacement kit determined at Zymo’s sole discretion. CUSTOMER APPRECIATION CARDS INCLUDED WITH YOUR PARTICIPATION SHOULD ONLY BE ACCEPTED IF NOT PROHIBITED. Participant must fill out all required fields on the entry form to participate in the Extraction Challenge. After submitting the required information on the entry form, the Participant will receive an email confirmation detailing participation guidelines. Zymo will ship one (1) ZymoBIOMICS Microbial Community Standard Cat# D6300 and one (1) ZymoBIOMICS DNA Miniprep sample Kit Cat# D4300S to Participant. 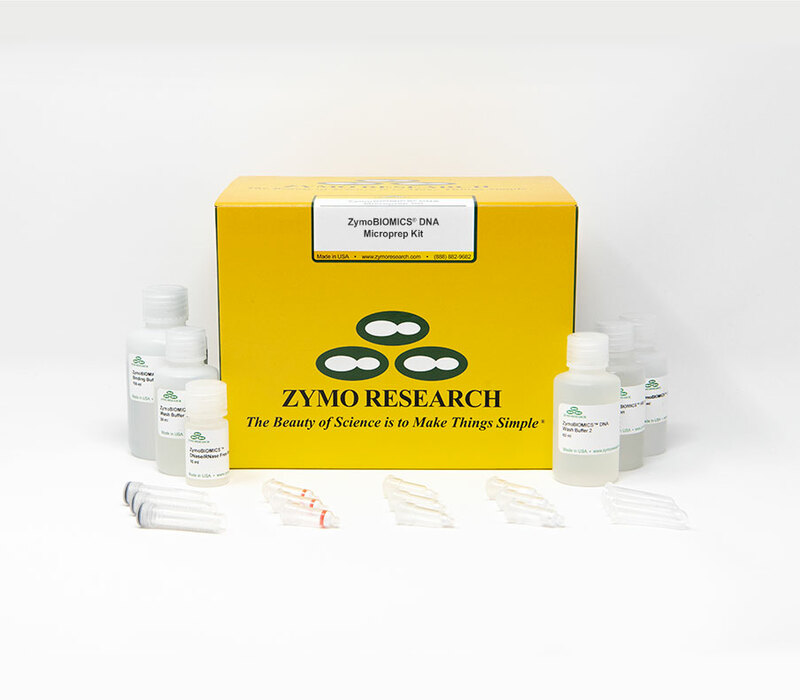 Participant will use the ZymoBIOMICS DNA Miniprep Kit to extract DNA from the ZymoBIOMICS Microbial Community Standard and from another sample type of the Participant’s choice, according to the suggestions provided in the confirmation email. Participant will also use a different extraction method of his/her choice to extract DNA from the ZymoBIOMICS Microbial Community Standard and from another sample type of the Participant’s choice. Participant will ship all of the purified DNA samples to Zymo with either dry ice or blue ice packs. Participant is responsible for all costs and for risk of loss associated with shipping the DNA samples. Zymo shall prepare 16S libraries from the Participant’s DNA sample, sequence these libraries, and perform bioinformatics analysis. Results of the sequencing will be sent to the Participant via email. By participating in the Extraction challenge, Participant grants Zymo fully paid up perpetual and irrevocable license to use the data and results from analysis generated by the Extraction Challenge for its product research and development as well as for its marketing purposes. All identifying information will be removed from data and results. All standards or Kits provided for the Extraction Challenge are intended for research use only and are not for other uses such as in diagnostic procedures. 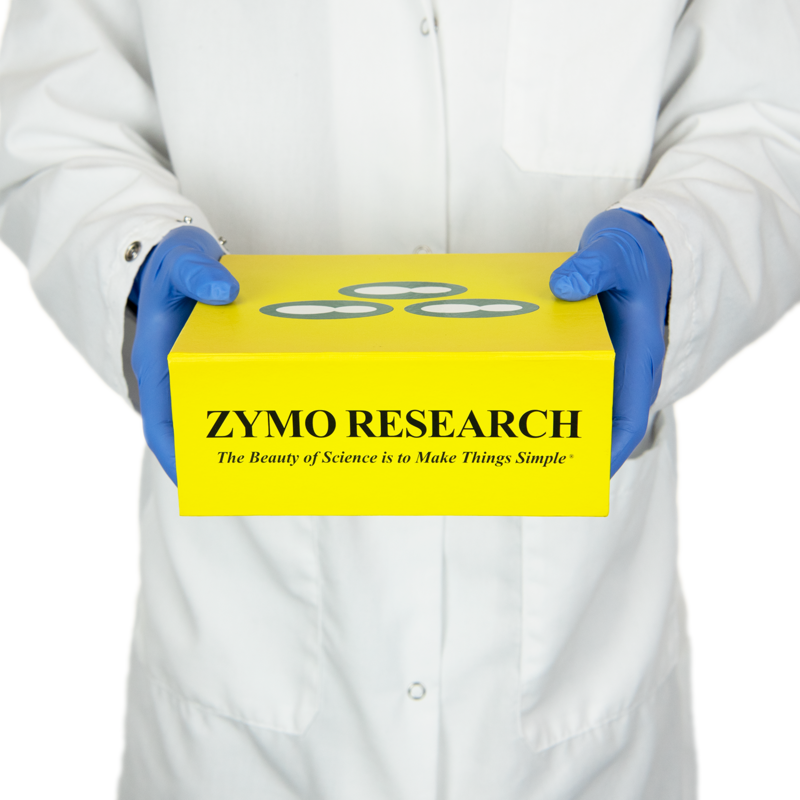 Shipment of Kits for the Extraction Challenge materials will take place in batches with quantity and time subject to the sole discretion of Zymo. 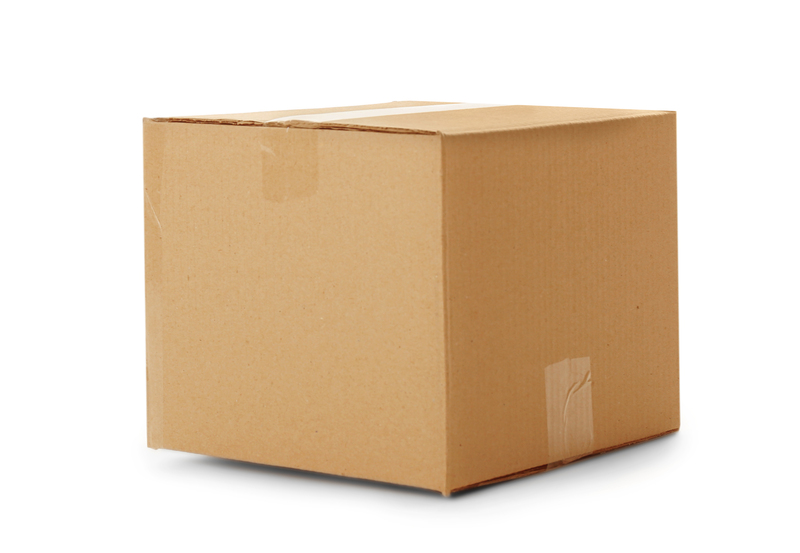 Shipments will be sent via FedEx® Ground unless otherwise stated. To participate in the Extraction Challenge, the Participant is responsible for proper preparation, packaging and shipment of samples per the instructions in the follow-up email which will be sent after acceptance of these terms and the submission of the inquiry form. Zymo will handle samples professionally and according to generally recognized industry standards.